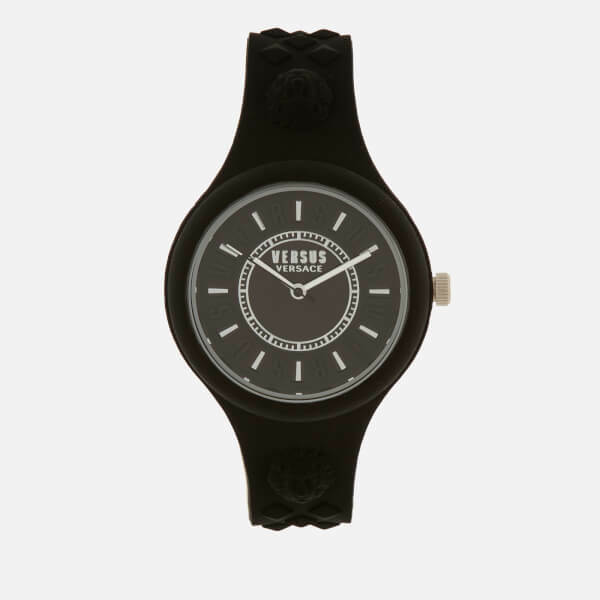 Bicolour silicone watch from Versace’s diffusion line, Versus Versace. 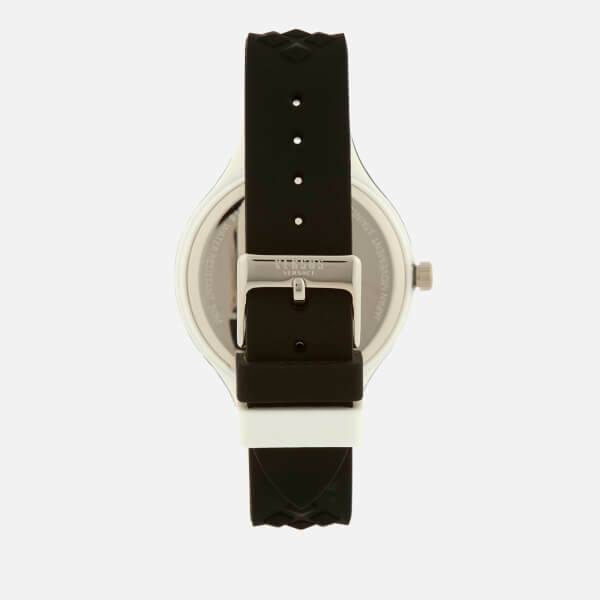 Inspired by the Fire Island sunsets in New York, the ‘Fire Island’ watch has a bicolour design with a black front and a contrasting white reverse. 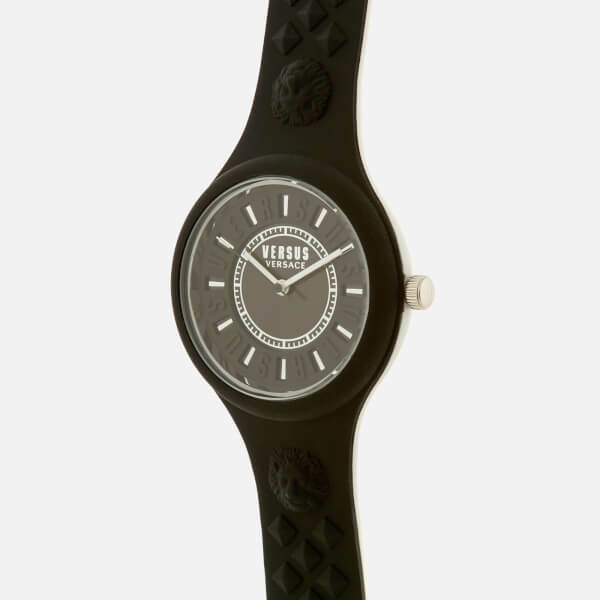 The round design has a tonal face with contrasting white hour markers and hands, embossed branding and a signature Versus Versace logo in the middle. Water resistant to 50 metres, the watch has a buckle adjustable strap detailed with embossed lion logos and raised studs. 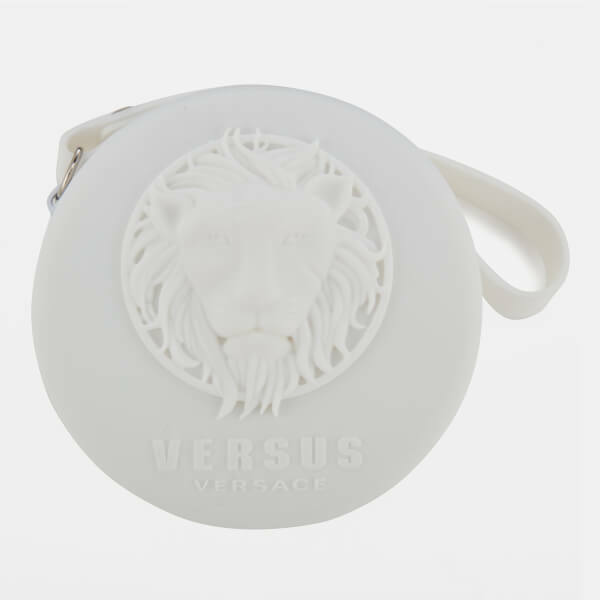 Complete with a branded stainless steel buckle and presented in a Versus Versace silicone case. Case: Silicone. Strap: Silicone/Stainless Steel. Case Diameter: 39mm. Height: 10mm. Strap Width: 16mm.